Hafer’s is a full service firearms dealer. We’re your Class 3 Easy Button, helping you complete your application, photographs, fingerprints and it’s ready to mail when you leave. The hardest part for you is choosing from our massive inventory! It is your responsibility to make sure your firearm is Maryland approved. Call with questions, we are here to help! We supply our license for the seller of legal firearms. We receive your firearm and open for verification of serial number. However, we do not inspect your firearm unless you require that service at an additional fee. Any defects or faults with firearms transferred are to be handled solely between the buyer and seller, the transfer fee is still due at time of intake. We contact the purchaser and complete all required federal and state background checks. All local, state and federal laws apply. Above prices are for cash only. Prices subject to change without notice. Hafer’s professional staff have been trained by some of the lead law enforcement agencies across the country including, but not limited to, the NRA, Maryland Correction & Police Training Commission, Maryland State Police, FBI, DEA, ATF, and Maryland DNR. Whether you are new to firearms or an experienced shooter, we have firearms education for you! Maryland HQL, CCW, NRA basic pistol and one on one training available. Please visit our Info page to see upcoming Class Schedules or follow us on Facebook at https://www.facebook.com/Hafersgunsmithing/. Hafer’s on-site gunsmiths are trained, knowledgeable and experienced professionals; second to none that you can trust! With over 80 years of combined experience in the areas of gunsmithing, woodworking, machining, welding and factory armoring, our certified gunsmiths are unique and specialized in the firearms world. Our team brings meticulous detail, precision and accuracy to our work. 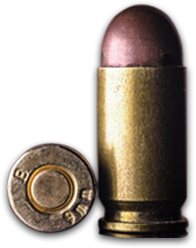 We offer a full line of all reloading products from Dillon, RCBS, Hornady, Lyman, Forrester and plenty more. We offer free press setup with any new reloading press purchased from Hafer’s. Further reloading education is one on one with our reloading specialist for an additional fee.